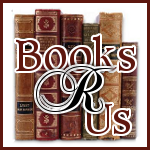 Ginger High- Books R Us: GIVEAWAY AND REVIEW OF BUCKLEY'S STORY BY INGRID KING. GIVEAWAY AND REVIEW OF BUCKLEY'S STORY BY INGRID KING. Buckley's Story Lessons from a Feline Master Teacher is a memoir of how a small tortoiseshell cat changed the life of the author forever. Buckley was found on a farm and was brought to the Veterinary hospital where Ingrid worked. It was love at first sight. The cat became the greeter at the clinic. When Ingrid decided to start a new career and work from home, she decided to take Buckley with her. Ingrid already had another tortoiseshell cat at home called Amber. Twice she returned Buckley back to the clinic because they did not get along. When she found out that someone wanted to adopt her she brought her home for good. After living with Ingrid for 2 years, Buckley was diagnosed with heart disease. Ingrid had to face many challenges for caring for a cat with an illness. Ingrid provides information about caring for a cat with heart disease and ithe information was well researched. There was good and bad days and Buckley always showed her love for Ingrid. When Ingrid was describing Buckley’s last day, I was crying the whole time. I used a lot of tissues that night. Ingrid wrote a wonderful memoir and I recommend it for anyone who loves animals. Would you like to win a copy of this great book? Compliments of the author, I am able to giveaway 2 copies. Open to USA residents only. Please place all entries into one comment. I'd love to read this book, even though I know I'll be crying throughout most of it. This book sounds so tender. I love animals but I would give it to my daughter who has 2 cats and has a very soft heart for cats. My daughter is a huge cat fan so I wanna win this for her. 1. I'd like to win this for my daughter. 2.I follow with Google Friend Connect. 3. I share on FB. I would love to have this book. I cannot believe how much Buckles looks like a cat I had when I was growing up. Her name was Sweetums. I love cats and could not live without them. I would love to win a copy of this book. I can read it to my cats. I have 2 cats and would love to read it (even though I will cry my eyes out). I am following you on FB (Claudia). I love cats and know I would love this book even if I know I'll be crying! + 1 This looks like a wonderful book! Thanks for the chance!